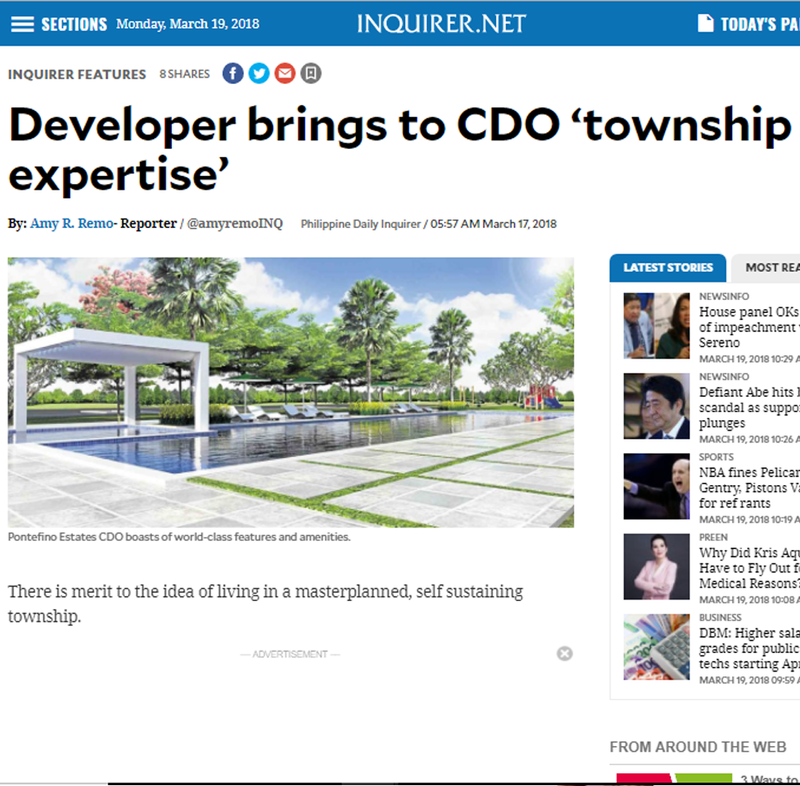 Developer brings to CDO ‘township expertise’ featured in the Philippine Daily Inquirer. The concept of a township, where everything you need is practically at hand, normally just a few minutes walk or drive from your home, has become the smarter, more practical option for homebuyers—not only those living in the metro, but those in the provinces as well. In fact, having easy access to key establishments, retail areas, entertainment and commercial centers, other institutions such as schools, hospitals and churches, and even public transportation has become the new norm for both real estate developers and buyers.